I have been asked on numerous occasions how one goes about training and equipping Indian leaders to lead the church. I would like to address that topic in this article. 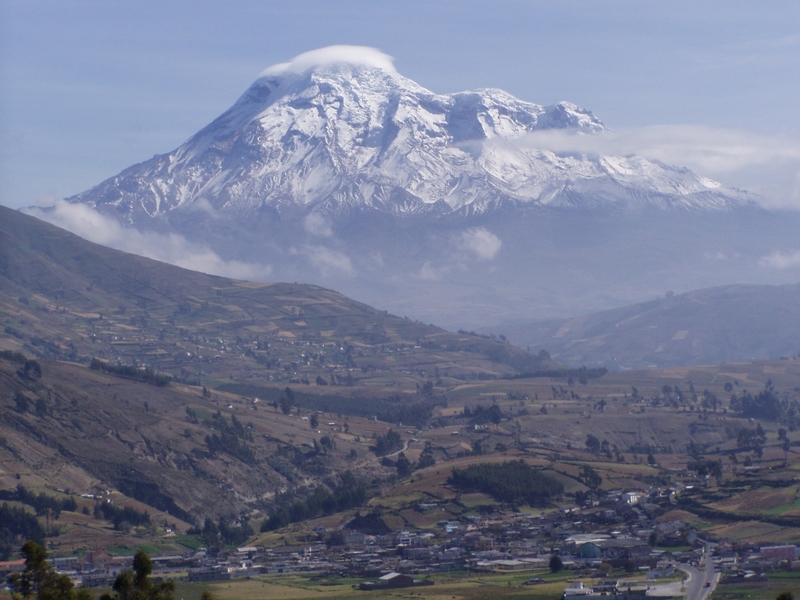 Upon our arrival in Ecuador in early 1992 we were tasked with the challenge of beginning the Assemblies of God work among the Quichua Indians (known as Quechua in Peru & Bolivia). The Quichua people are the modern day Incas and make up approximately 42% of the 15 million people in Ecuador. Their history has been a long and difficult one beginning when the Inca Empire swept through much of South America conquering the many different tribal groups throughout the Andes region during the 1400’s and forcing them to adopt the Inca language (called Quechua), customs and culture. The next to come were the Spanish Conquistadors under Francisco Pizarro in the early 1500’s. The Spanish, once they had conquered the Inca Empire set about enslaving the survivors and compelling them to convert to Catholicism or die by the sword. Many Indians fled deep into the Amazon Jungle or high into the Andes mountains. Within one generation of the Spanish conquest nearly 70 % of the Indian population had been decimated by either the sword, worked to death as slaves or wasted away by hitherto unknown old world diseases brought from Europe by the soldiers. 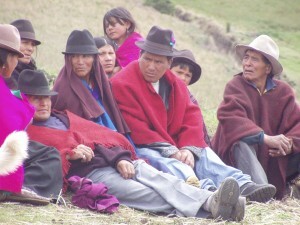 For the next 500 years these descendants of the once great Inca Empire were forced to work the land as slaves. When land was sold during this period they were counted as property just as though they were nothing more than cattle or sheep. It wasn’t until Vatican II in the early 1960’s that the Catholic Church decided that the Quichua Indians were human beings that possesed an eternal soul. In 1964 following a military takeover of Ecuador the new military Junta implemented what came to be known as the Agrarian Land Reform Act. With the sweeping changes in the ownership of land the Indians were finally granted not only freedom from slavery but citizenship and with it the right to own land and to vote in political elections. However, as we in the United States know from our own history of slavery, change does not come quickly in the hearts of men. Prejudice is a cruel and ugly thing that can be passed down through generations. Scripture tells us of the dangers of allowing a “root of bitterness” to grow in our hearts. Even as the Mestizo population struggled with their own sense of prejudice and superiority toward the Indians so too struggled the Indians with a 500 year old “root of bitterness” toward their oppressors whom they still refer to as “los blancos” (the white ones). The Indian people exhibited a deep seated distrust of the AG “National Church” which was made up of Mestizos – the dreaded “Blancos” who had enslaved and abused them for centuries. We felt resentment towards us from the Spanish leadership at both district and national levels because in their eyes we were “wasting” valuable financial resources on the “Indios” that could better be used among the Spanish churches. In fact for the first few years there was only one Spanish AG church that was really behind us in our efforts to reach the Quichua Indians.One of the greatest eye openers for me in this regard was when I attempted to take four of my Indian leaders into a meeting of Mountain District and we were stopped at the door by the top District and National leaders who said to me; “How dare you try to bring those ‘Longos’ into this meeting!” Later when I asked my Indian friends what had been meant by the term ”Longo” they explained that it was an ugly word that implied that they were a sub-species even lower than an animal. The Indians expressed a seeming willingness to allow us the opportunity to prove ourselves. Simply because we were foreigners we were not seen to carry all of the cultural baggage that an Ecuadorian Mestizo did! It quickly became obvious that the general lack of secular schooling among the Indians was going to prove to be a major obstacle in the preparation of leaders to pastor the new churches we hoped to raise up. It was going to be necessary to start a Bible Institute for the Indians because with very few exceptions they were not made welcome in either of the two existing Bible Schools in the country. ICI also had a wonderful system of rewards and recognition for their students as they studied these books. There was an exam at the end of each book that had to be sent off to ICI to be graded. For each book they successfully completes they received a nice certificate and for every six books they successfully completed (they are divided up into groups of 6) they received a beautiful certificate with 6 gold seals attached that was suitable for framing. Indians simply love to display this type of thing as proof of their accomplishments. It made for great motivation! When one of our students had finished all 18 books in the series they were well prepared to serve as Deacons in their church. About 85% of those who finished all 18 books were then able to make the transition with very little difficulty into continuing their studies at the Bible Institute level. With few exceptions, the first believer in each village was the man or woman that God chose to raise up to be the pastor in that village. And it was these same leaders who pioneered the churches that they were to pastor! Over a period of time we were able to get National Church approval to start our own Indigenous District. What a blessing; not only was the Indian District better suited to address the special needs and circumstances of the different Ethnic Groups of the country but we were also given two seats on the National Presbytery. The new district status allowed us to acquire ministerial credentials for our pastors as well. The Spanish Districts simply could not bring themselves to issue ministerial credentials to Indians. Now that we had students prepared to enter Bible School we were able to negotiate a deal with one of the existing Bible Schools to open an extension out in the provinces where we were ministering. Within one year’s time we had all of the pieces in place to get approval to operate the Quichua Indian Bible Institute in Riobamba, Ecuador. It was to be five more years before we had our first group of graduates. If there is no financial cost for the studies then they place little value on the studies. We always tried to keep the costs for classes at a moderate price and we were willing to give a 50% scholarship to Indian leaders as long as the student’s church was tithing to the district and the student was in good standing both with the local church and the District. We never gave away grades. If a student failed a course then he had to repeat the course, sometimes several times. We always tried to work with the students to bring them up to the level of the other students. Often this meant providing tutors or for the professor to spend extra time with the student. Unfortunately materials have never come available in any of the 16 Quichua dialects of Ecuador, only in Spanish. Because virtually everyone has had to learn Spanish to make a living in Ecuador we were able to teach in Spanish. Later as other ethnic groups began to attend we were still able to teach them because Spanish is the national language. To give you an idea; I searched for almost 7 years before I could locate a bilingual dictionary from Spanish to Chimborazo Quichua which is the largest Quichua dialect in the country. We always treated our students with respect while at the same time working hard to prevent the slower students from slowing down the rest of the class. One of our graduates started the process being illiterate. He was pastoring a thriving church even though he could not read or write. His daughter would read scripture to him and he would memorize it! We found that it was not viable to pull a leader out of his community while he studied for 3 or 4 years and then try to send him back. First of all it was very difficult for them to return to their village because the village now saw them as citified and did not trust the changes in them. And secondly, few of them wanted to return to the primitive conditions of the rural life after experiencing life in the city. So, we instituted live-in intensive courses every three months where a student only had to come a few weeks at a time four times a year. This way they continued to live and minister in their own village while they studied and the village was able to watch the transformation in them from up close. Obviously we also continued to offer evening and Saturday courses as well. One of the really incredible things that God did through the Intensive courses was to use it to break down the barriers of mistrust and prejudice between the Indians and the Mestizos. Since neither of the other two Bible Schools offered intensive courses the Mestizos also wanted to be able to come and study with us. However, that meant that they then had to study in the same classrooms, eat in the same cafeteria, sleep in the same dormitories and work together in the same library as the Indians. What happened is that the Mestizos began to see how hard the Indians struggled to keep up with their studies (remember that they for the most part had only studied up to the 3rd grade) and they began to have compassion for them. They began to help them with their studies and in the process they became friends! God used friendship to tear down the walls of prejudice. Today it is common to see the Indian pastors and the Spanish pastors worshiping, praying and eating together at the national conferences and events. It is truly a new day! 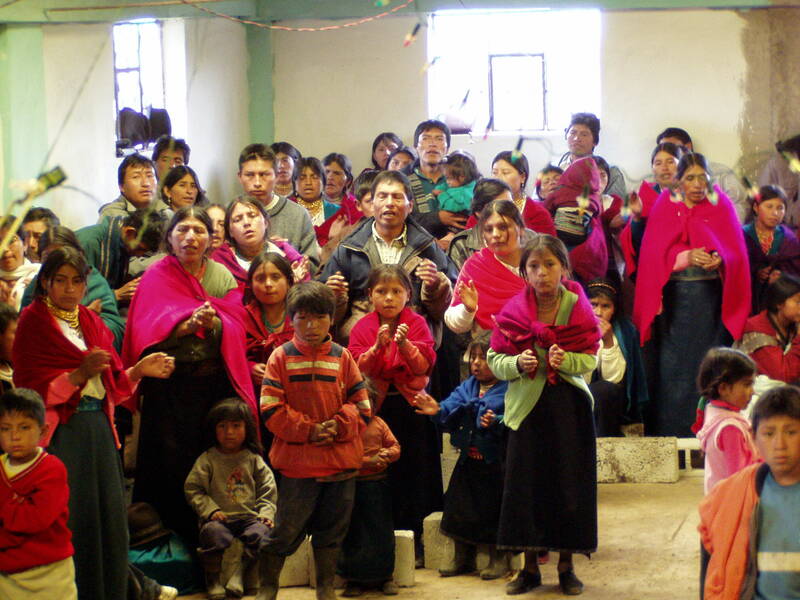 The Bible School no longer carries the name Quichua or Indigenous. 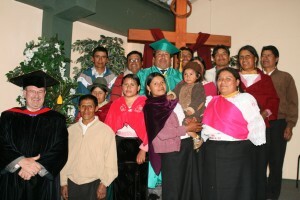 It is now a four year Seminary open to all tribes and tongues. In conclusion, I would like to share as well that with the one exception of the pastor who was formerly illiterate, every one of our Indian brothers that have graduated from our Bible School has since gone on to finish their secular studies and graduate from High School! This is especially notable when you realize that when we began this endeavor any Indian that had finished the 6th grade was treated in his village with the same reverence & respect as though he has finished a Doctorate! Also there is no such thing as a GED equivalency in Ecuador; they had to set in the classroom in adult continuing education classes to finish their High School degrees. Many of our Quichua leaders have even gone on to ISUM and some are even studying for a Master’s Degree in the Facultad de Teología. Thanks for your inspiring story of a missionary educator pioneering the way for indigenous theological education! I was impressed by the way that you did not let the bar down academically but found ways to bring their level up a small step at a time. Also the financial angle of sharing the cost seems so fundamental to motivating students. How easy it is to think that we are doing the indigenous a favor by paying for all of their studies. Your article proves otherwise! Entering into another person’s culture and language is both challenging and humbling. By recognizing the Quichuas felt needs demonstrated the etic’s willingness to learn from them. How refreshing to hear a story that brought together Christian brothers and sisters from opposing cultural perspectives to the table of Christian fellowship. Once again the biblical principle of servant hood demonstrates how Christians are to invest in the lives of God’s creation. Thanks for sharing the Quichua journey. Allen, I missed seeing your ACLAME article last month, but I am certainly glad to see it now. It is inspiring to see how the Holy Spirit works in the lives of what many might consider to be an unlikely people group to raise up a thriving Bible institute ministry. The Lord sent you and JoAnn there with the call of God upon your lives and an intense love in your hearts to serve these people who, although rejected and despised by the mainstream culture, are precious in God’s sight. The Holy Spirit transformed the culture of a nation because you obeyed God’s call. The long narrative of church history is filled with similar exciting accounts! Where will God will do this next? Who will get the call?